Dryer cylinder is a reguler component used in drying section of paper machine. 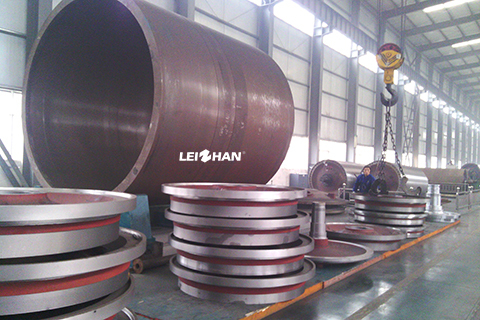 The texture of dryer cylinder is usually HT200 or HT250. To ensure the paper smoothness, the outside surface of dryer cylinder should polish,and the thickness of whole cylinder wall must be consistent to ensure the safety, balance & even heat transmission. Dryer CylinderΦ2500×1950mm, cylinder body and cover material is HT250, cylinder body thickness is 32mm, inner surface is smooth, outer surface griding roughness is 0.8, cylinder cover at the operating side is equipped with manhole, cylinder surface hardness is HB190-220°, water test pressure is 0.6Mpa, max. Working pressure is 0.3Mpa. This 2500 mm Φ cylinder is equipped with pneumatic corrector, electric tensioner and racks in full box structure. In addition to one piece 2500 mm Φ cylinder, drying section of the culture paper machine consists of Carrier, scraper, leading roll, etc. Carrier roll Φ450×1950mm, cast iron roll body is with coat. Scraper and dryer with tangent for 25 °-30 °, blade is EP plate. Leading roll adopts Φ159×2000mm seamless steel pipe , surface is sanding.